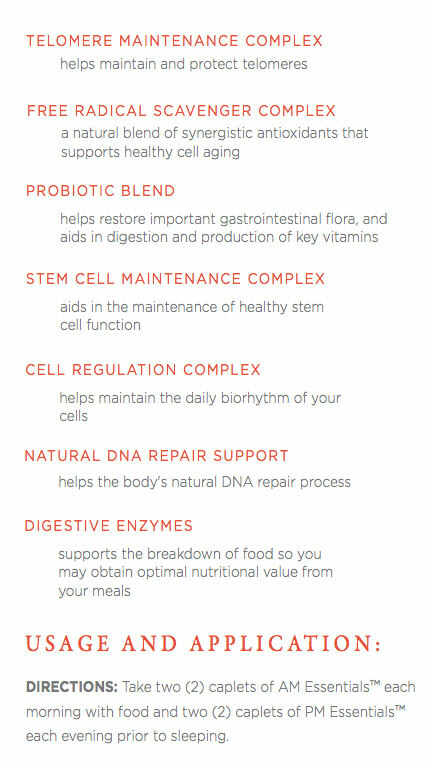 AM & PM ESSENTIALS™ are the most complete essential dietary supplements designed to help you maximize cellular vitality, achieve optimal health and slow the symptoms of premature aging. WHAT MAKES AM/PM SO UNIQUE? premature aging. 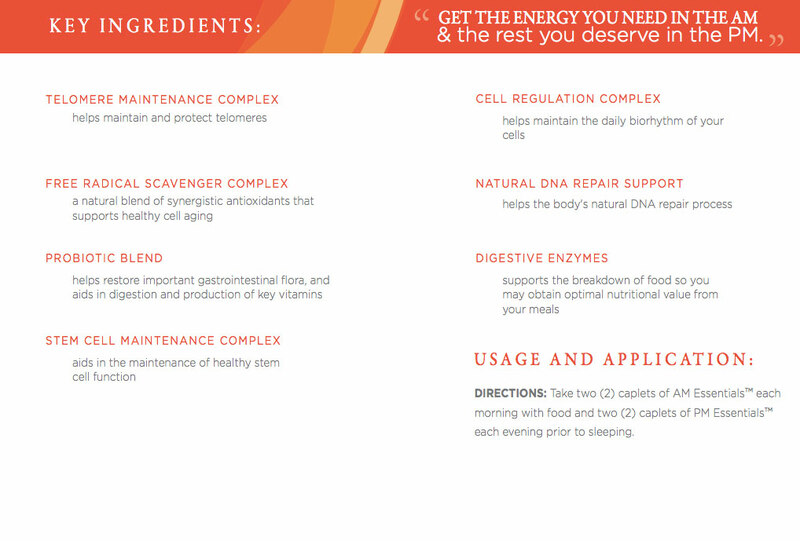 Formulated to provide you with all the vitamins and nutrients your body needs, AM & PM Essentials™ contain synergistic blends of special ingredients that help you maintain healthy biorhythms, support critical biological processes, and combat the signs of aging around the clock. 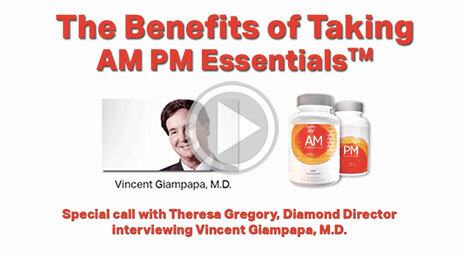 AM & PM Essentials™ are endorsed by acclaimed physician Dr. Vincent Giampapa, a leading authority on anti-aging, and are based on years of clinical research and studies. 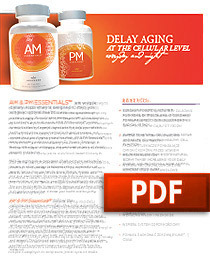 AM & PM Essentials™ follow the calorie-restriction model—the only scientific method with clinical results proven to slow the signs of the aging process–and target key cellular processes related to aging, such as oxidation, glycation, methylation, and natural DNA repair. 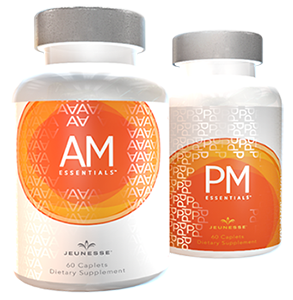 AM Essentials™ provides lasting daytime energy and increases mental alertness, while PM Essentials™ helps prepare you for a restful night’s sleep so your body can focus on cell maintenance and renewal. 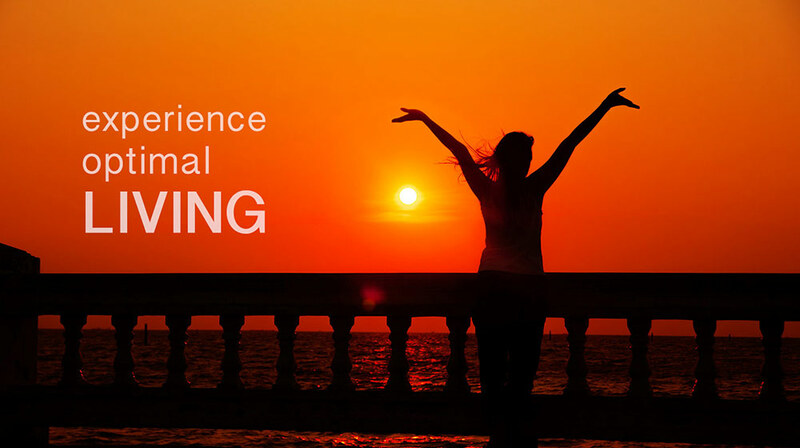 This balanced approach towards healthy aging gives you the tools you need to improve your quality of life from the inside out.